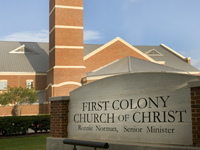 Square Footage: 34,000 sq. ft. 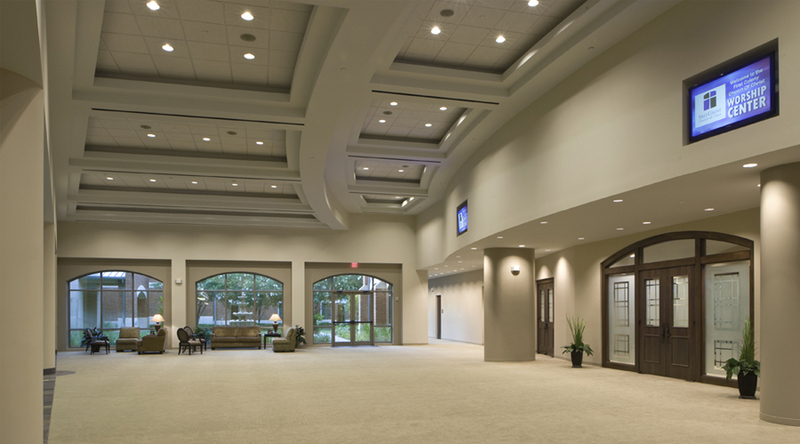 The construction for this new worship facility centered around a 1,500-seat sanctuary with orchestra seating. 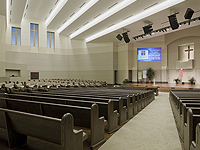 The space also included accommodations for a gathering hall, baptistery, mechanical mezzanines, and projected media. 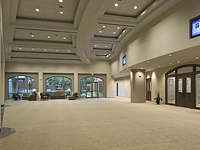 The mezzanines cover approximately 2,700 square feet and include centralized elevator access. 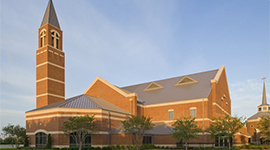 The bell tower is 145-feet tall, clad in full-height brick masonry and topped with a powder-coated structural steel cross. 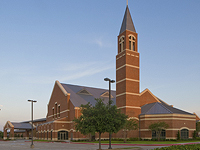 The church was constructed adjacent to an existing facility on the campus, sharing approximately 100-feet of perimeter. 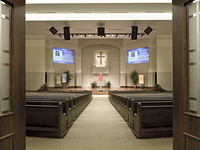 In order to accommodate the walkways that surround the worship space, strategies were developed to minimize the impact of the structural steel columns that interfered with the pathway. 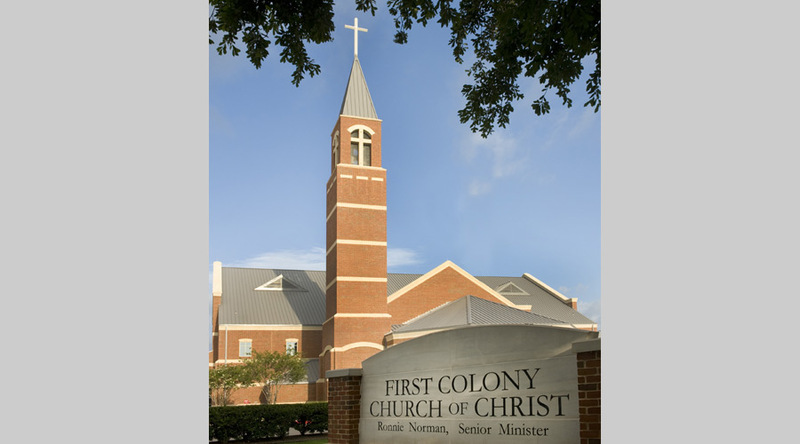 First, the columns were moved out of the main building footprint, into the masonry pilasters that extend from the facade of the church. 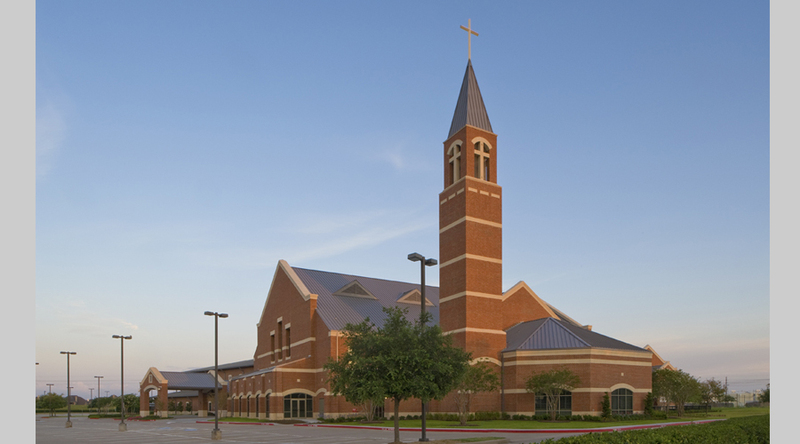 Second, Pinnacle designed tapered steel columns to minimize the depth of the columns near their base where church-goers are passing by. 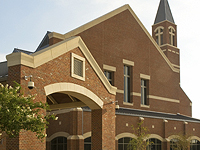 The extensive masonry archways throughout the building required rolled steel shelf angle supports. These supports were typically suspended from tube steel beams that were also used to reduce the unbraced height of the exterior stud wall systems. 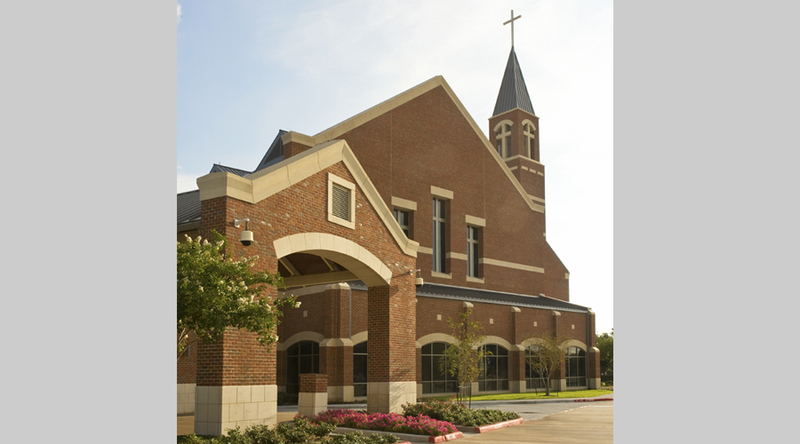 Structural steel and bar joists were used for the primary structural system of this church, with composite steel construction used at the mezzanines to reduce structure depth and minimize vibration from mechanical units. 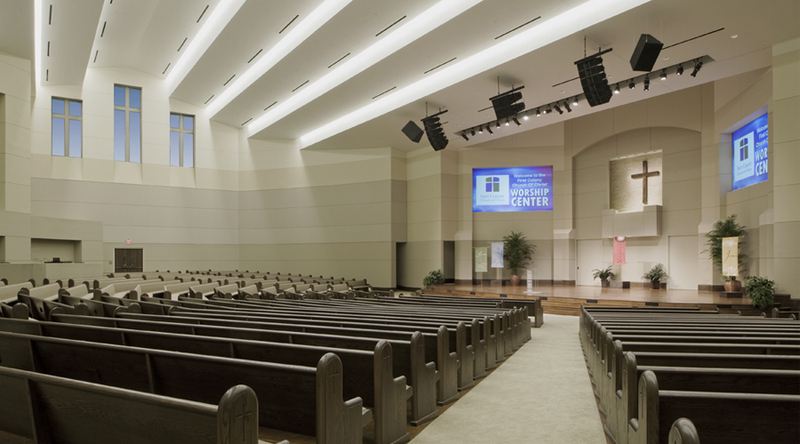 Large bent frames, spanning the 96-foot wide width of the sanctuary, paired with eccentric tube braces provide lateral stability for the structure. 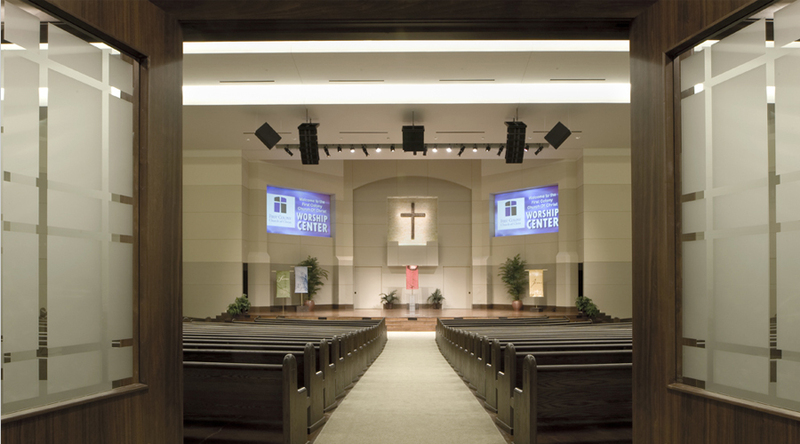 With the substantial overall height at the sanctuary, steel framing was required in the walls to reduce the clear height of wall studs, thereby allowing use of typical light gage stud sizes throughout the project. 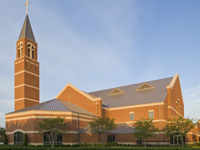 Horizontal trusses were employed at the Loggias to allow construction of the 71-foot tall gable end of the sanctuary with minimal structure at the setbacks. 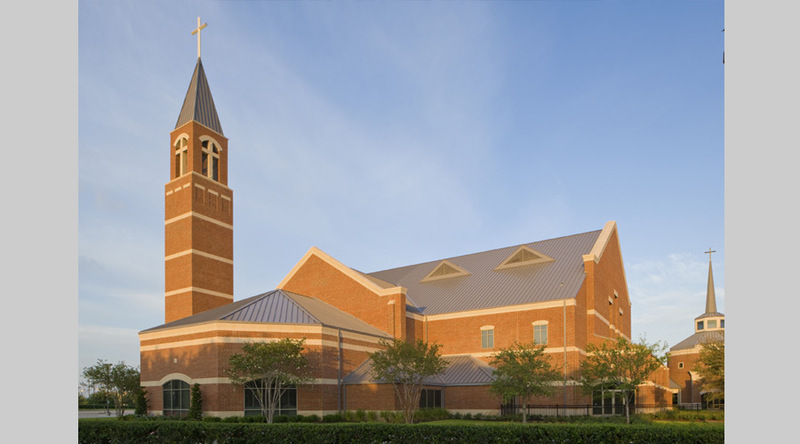 The bell tower uses 1/4-inch and 3/8-inch plate ‘x’-bracing for lateral stability and the steeple is formed using 6x6 tube steel framing.